Dr. Laurence C. Breiterman provides patients with Invisalign for straightening teeth. As a dentist who cares about his patients, Dr. Breiterman understands that there are many patients that prefer to straighten their teeth discreetly. This is possible with clear, plastic Invisalign aligner trays. Dental work can be done without people really noticing the procedure, and the end result is straighter teeth. 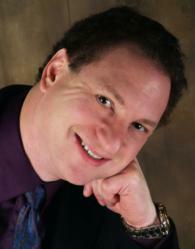 Dr. Laurence C. Breiterman is cosmetic dentist, straightening teeth with Invisalign. Laurence C. Breiterman, D.M.D., M.A.G.D., with Advanced Dental Techniques, provides Invisalign teeth to help correct crooked teeth for patients who are self-conscious about their dental work, and for those who simply prefer this method. One advantage to using Invisalign is that the dentist can also provide the patient with teeth whitening solutions that work with the aligner trays that are being used to straighten teeth. This means that the individual can get straighter, whiter teeth more easily. Dr. Breiterman must evaluate patients individually to determine if they are good candidates for this procedure. Using Cad-Cam and 3-D printing technology, trays are constructed for patients. Each set of trays are designed to be worn for about two weeks before being exchanged for new ones. This process continues until orthodontics is completed. The clear, plastic trays are difficult to see, so most people hardly notice them. The aligner trays are comfortable and fit the teeth fairly tightly without irritating the mouth. They are removable so that a person can eat normally, and clean the trays and their teeth. They can also be used with teeth whitening programs under the supervision of the dentist. While the length of time the trays must be worn is dependent on the individual, it is common for the complete process to take about a year. It is very common for professionals who require teeth straightening to opt for the Invisalign procedure. They know their smile is their calling card and prefer not to announce the fact that they are working to make themselves look better by using something as obvious as metal braces. Both methods are effective at straightening teeth. To learn more about the Invisalign procedure, go to newjerseygumsurgery.com.